As we reported in our 2015 Industrial Metal Cutting Outlook, most manufacturers are expecting some growth in 2015, although no one expects it to be a banner year. “Modest improvement,” “slight gains,” and “steady” are just a few of the words being used to describe 2015 business prospects. Based on recent data, those words seem fairly accurate. According to the latest report from Institute for Supply Management (ISM), activity in the manufacturing sector expanded in March for the 27th consecutive month, and the overall economy grew for the 70th consecutive month. However, it is worth noting that ISM’s readings for March were lower than February’s readings. Specifically, March PMI registered 51.5 percent, a decrease of 1.4 percentage points from February’s reading of 52.9 percent and, even more noteworthy, the fifth consecutive monthly decline. The New Orders Index registered 51.8 percent, a decrease of 0.7 percentage point from the reading of 52.5 percent in February. Even so, PMI and the New Orders Index readings were above the set thresholds of 43.1 and 52.1, respectively, which indicate overall growth. Regardless of whether or not you entered the year bullish or cautious, most industry leaders would agree that being proactive is the only way to approach today’s marketplace. While you may or may not be planning to add capacity this year, there are several other strategies you can use to prepare your operation for whatever 2015 brings. Utilization versus capacity: Are utilization and capacity running even? Per-project profitability: Is per-project profitability acceptable? Client mix: Could the client mix be improved? Workload diversity: Will the current and expected workload allow for learning new skills and expanding the business? Sick time and personal time off: Are workers motivated to deliver exceptional work? If not, why not? As the IW articles notes, forecasting the future with any measure of precision is difficult under the best of conditions, and manufacturing tends to have less visibility than most industries. However, by regularly following and measuring your operation’s performance, fabricators can not only be better prepared for what might happen in the near future, but more importantly, be prepared to handle unexpected changes. Cost is and always will be a top concern for every manufacturer, no matter how great their efficiency efforts. The reality is that everything that happens in a manufacturing operation carries a cost, regardless of whether or not it has a price tag attached to it. This is why so many industry leaders now approach cost strategically. Instead of looking for short-term savings, today’s managers are making cost decisions based on big-picture goals and long-term benefits. For example, in a high-production metal-cutting environment, it is tempting to run circular saw blades as fast as possible to increase productivity and meet a tight deadline. However, according to the white paper, The Top Five Operating Challenges Ball and Roller Bearing Manufacturers Face in Industrial Metal Cutting, the true value of a saw blade goes far beyond its cutting time or price tag. This is especially true in a high-production operation, where there is no time to constantly change out blades. To get the best return on investment, metal-cutting leaders know that it pays for operators to focus on prolonging blade life. 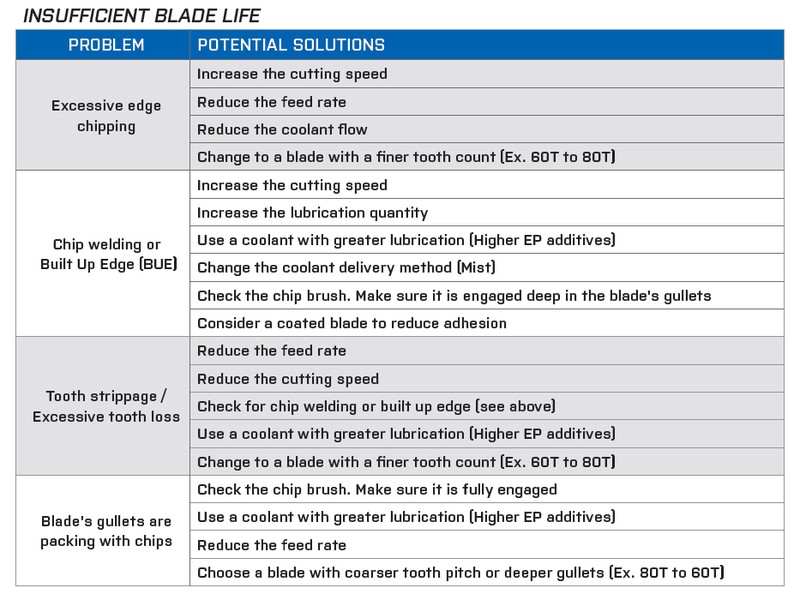 By running blades at proper speed and feed settings, as well as maintaining adequate lubrication during the cutting process, manufacturers can get the most out of their blades and, in turn, save on tooling costs, maintenance costs, and the cost of unexpected downtime. Like any strategic endeavor, cost management can be used as a competitive advantage. In an article recently published by IndustryWeek, Bill Moore, a senior vice president at ball and roller bearing manufacturer SKF USA Inc., echoes this sentiment and states that executives can use parts and components de-costing programs to make their factories more competitive. When done strategically, Moore says that parts and components de-costing can yield strong results, with measureable improvements seen within 90 days and major savings within 24 to 36 months. Quality parts and world-class maintenance matter. According to Moore, one way to save on parts and components spending is to invest in high-quality parts and world-class maintenance practices. As an example, Moore states that a premium bearing that costs 30% more but lasts twice as long can save a plant 50% of its bearing procurement cost. He also suggests transitioning non-critical equipment to the same maintenance standard used for mission-critical equipment. “When the use of superior parts is combined with the implementation of trial-tested maintenance standards, results expand to include reduced machinery downtime, improved productivity, and stronger output,” Moore explains. Strategic partnerships are essential. Moore states that factories with a strong record in de-costing often create local customer teams made up of top suppliers. 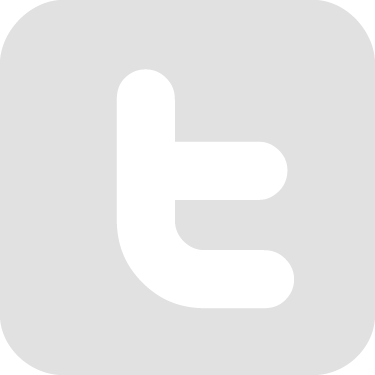 This could include original equipment manufacturers, parts suppliers, distributors, etc. He also suggests seeking expertise from suppliers who can provide a global perspective and international best practices. According to Moore, this type of collaboration should be characteristic of any good, high-quality supplier relationship. “A leading parts supplier should be able to help establish de-costing program goals and benchmarks, including ongoing monitoring of parts and equipment performance,” Moore says. 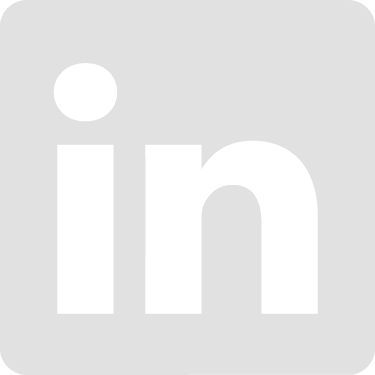 “Trusted suppliers can recommend and, if desired, oversee maintenance best practices. Moore’s methods suggest that successful cost management in today’s marketplace requires managers to look at cost from a high level before making any decisions. In other words, gone are the days of “quick fixes.” By taking the time to approach cost strategically, ball and roller bearing manufacturers can make improvements that have a long-term—and more importantly, sustainable—impact on the bottom line. Every industrial metalworker knows that lubrication is an essential part of the forging process. As this article from Forging magazine explains, selecting the right die lubricant can directly impact the quality of a finished part, and many times, it is essential to achieving process efficiency and cost-effectiveness. This means taking into account the type of forging (i.e., hot or cold), as well as the type of material (i.e., nonferrous or ferrous). However, if you are a forge that also cuts metal, it is important to remember that lubrication selection is just as important to your metal-cutting operation as it is to your forging operations. In band saws, for example, failure to maintain proper coolant levels can lead to decreased blade life and premature and uneven wear of band wheels, according to a white paper, Tackling the Top 5 Operating Challenges in Industrial Metal Cutting. This not only leads to increased maintenance and tooling costs, but can snowball into other costly problems such as unplanned downtime, poor quality, missed delivery dates, and unhappy customers. If optimization is your goal, then it pays to carefully address the lubrication needs for every operation under your roof, including metal cutting. One lubrication choice that many metal-cutting operations are starting to use is Minimum Quantity Lubrication (MQL). This alternative option sprays a very small quantity of lubricant precisely on the cutting surface, eliminating any cutting fluid waste. In fact, many consider it a near-dry process, as less than 2 percent of the fluid adheres to the chips. Less waste. Another major benefit is that MQL is a much more sustainable option. Metal chips produced during MQL machining are much cleaner than conventional approaches. Near-dry chips are easier to recycle and more valuable as a recycled material. It is important to note that MQL application is a more sensitive process than flood cooling. Mist must be aimed precisely at the tool to be effective. Fluid selection, equipment, and material type also play key roles in proper MQL application. To learn more about MQL, including equipment needs, fluid types, and a few “rules of thumb,” click here to download The MQL Handbook. 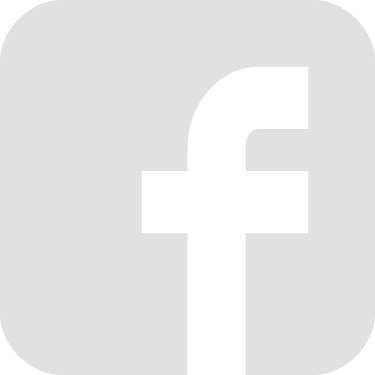 You may also want to check out this educational video from Modern Machine Shop. In a mature manufacturing operation like circular sawing, it is easy for managers and lead operators to rely on trusted and proven techniques. Unfortunately, today’s competitive market has upped the ante, which is why so many operations have stopped depending solely on tribal knowledge and are now embracing continuous improvement and the changes that come along with it. The point is that bar is always moving, and it would serve most operations well to be open to new ideas and, more importantly, to learn from others. What are other circular sawing operations doing to stay competitive? The LENOX Institute of Technology (LIT) interviewed two high production metal-cutting companies and asked them for some of the best practices they are using to stay competitive. Read below to discover a few of the strategies they are using to become industry leaders. Technology. According to Baron, his team is always testing new advancements to ensure the shop is using the most advanced cutting tools. Last year, for example, Baron had eight different circular saw blade manufacturers come into his factory to see which blades performed the best. While the project was time-consuming, Baron said it was a huge learning experience for his team and it ended up giving him a 20-percent cost savings. Ongoing training. Like most shops, new operators are “put through the rigors,” Baron says, and seasoned employees are retrained every time new equipment or software is purchased. ISO Certification. Baron says maintaining ISO certification helps his shop keep quality high and plays a critical role in achieving continuous improvement. “If you don’t track it, you can’t measure it, and then you can’t improve upon that,” Baron says. Continuous Improvement. Sliwa says the company’s focus is on continuous improvement and is “always doing something to upgrade.” About 7 years ago, the operation underwent a lean transformation, which included major changes in workflow and equipment placement as well as simple improvements like color-coding material. The facility also constantly uses the lean tool known as 5S, which eliminates waste by keeping work areas clean and organized. Preventative Maintenance. According to Sliwa, preventative maintenance is critical to keeping production moving. Operators perform daily maintenance on machines by following a check list that they have to verify and sign at the end of every job. Sliwa and his team also perform more in-depth PM checks on quarterly basis. Strong Supplier Relationships. Sliwa works closely with his suppliers and relies on their expertise any time his team has a cutting issue or is looking to improve performance. In one instance, operators were having a hard time reaching productivity goals when cutting several grades of stainless steel. A technical representative from Sliwa’s blade supplier came out to evaluate the problem and suggested a new blade type. Not only did the new blade cut Sliwa’s cutting time half and double the blade life, the supplier also trained his team and tuned up his saws. To download the full case study, Best Practices of High Production Metal-Cutting Companies, visit LIT’s circular saw resource page. In today’s fast-paced paced and competitive market, the main objective for most service centers is optimization. While getting orders out the door is always a priority, leading companies know that speed isn’t everything. In fact, running a circular saw too fast can lead to shorter blade life, unexpected downtime, and even poor quality and rework, all of which decrease a cutting operation’s overall productivity. 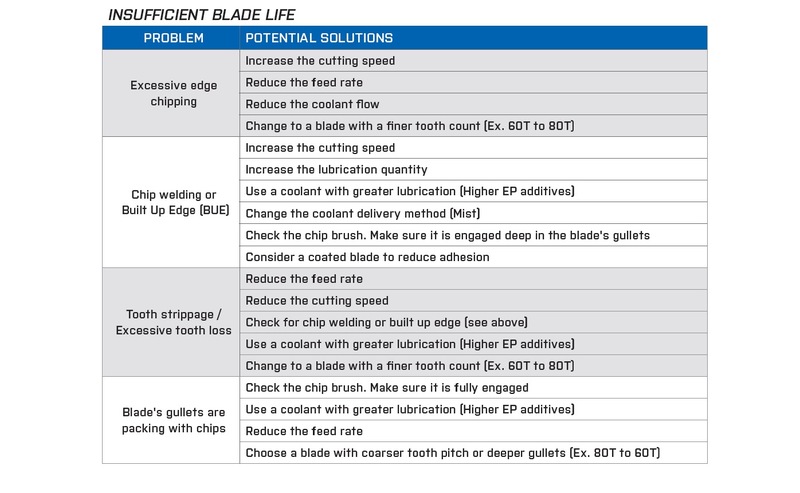 Optimization requires managers to weigh short-term factors such as cutting speed against longer-term factors such as blade life, maintenance, and cost. Of course, this challenge is easier said than done. As this article from Canadian Metalworking points out, the overall performance of your cutting tool depends on a variety of factors, including speed, feed, depth of cut, and the material being cut. 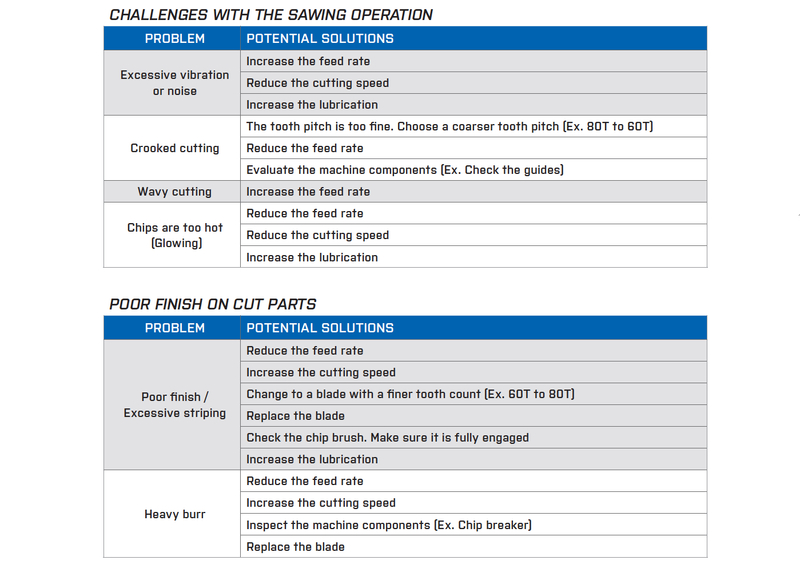 To help service centers optimize their precision circular sawing operations, the LENOX Institute of Technology (LIT) compiled a series of charts that describe some of the common cutting challenges operators face and possible solutions. For more information on optimizing your precision circular sawing operation, including best practices, white papers, and case studies, check out LIT’s resource center here. When it comes to circular sawing, productivity is always the goal, especially as demand increases. However, industry leaders understand that productivity isn’t about going as fast as possible. In fact, speed can be detrimental to cutting tool life—a fact that not only negatively affects your bottom line, but can also decrease your overall productivity. The real goal for today’s machine shops should be optimization. This requires operations managers to adopt strategies that allow their shops to achieve the highest possible cutting performance without sacrificing tool life. As this article from Canadian Metalworking points out, the overall performance of your cutting tool depends on a variety of factors, including speed, feed, depth of cut, and the material being cut. The ability to balance all of these variables is critical for companies that want to be productive and stay competitive in today’s challenging environment. Another critical aspect of optimization is making sure you have the right blade for the job. Advancements in tooth geometries, wear-resistant materials, and blade life can offer significant improvements in productivity and quality that can contribute to the bottom line. In the spirit of continuous improvement, managers should re-evaluate their circular saw blade choices every few years, even if they feel satisfied with current results. Testing new blades and technologies can be a time-consuming endeavor, but if the end result is faster cutting times and lower costs, it can certainly pay off. The key is for machine shops to run the right tools at the right parameters—an approach that is a lot easier in theory than it is in practice. However, by combining operational tricks and strategic investments, many of today’s shops are finding their “sweet spot” and striking a balancing between cutting speed, quality, and cost. In today’s competitive and growing marketplace, industry leaders understand that optimization can mean the difference between “getting by” and getting ahead. If your metal service center is doing its part to ensure proper coolant management, then you are fully aware that it is not as simple as it seems. From choosing the right coolant to proper fluid prep and monitoring, getting the most out of your metal-cutting fluids takes time and effort, but it is well worth the investment. Really, any informed manager can typically accept the ROI argument for most areas of coolant management, except maybe when it comes to disposal. In today’s environmentally conscious world, coolant waste disposal can get expensive (up to $0.50 a gallon), and if you are a larger service center, this adds up fast. For this reason alone, more and more manufacturers are investing in in-house coolant recycling. Some experts claim that coolant recycling can cut coolant waste disposal costs by up to 90 percent, and according to an archived article from Manufacturing Engineering magazine, tool life can also be significantly extended—from 25 percent up to 209 percent—with effective coolant recycling equipment. Some coolants are easier to recycle than others. “The tighter the emulsion, the easier it is to filter out the impurities without affecting the coolant,” Tripepi states in the article. Consider getting a coolant recycling system with an automatic proportionating system. This feature will tell you when coolant levels drop and if it is the correct concentration. “That process itself can probably save 10 to 20 percent in new coolant purchases, just because it’s giving you control over how you’re mixing your coolant,” Tripepi says. To read about some metal-cutting companies that have reaped the benefits of coolant recycling, check out these case studies. SME also offers technical papers that discuss more recycling best practices as well as a review of the different types of recycling technologies. As any operations manager can attest, the first step in sustaining a successful metal-cutting operation is having the right tools for the job. However, as technology advances and companies have more metal-cutting options, the choice isn’t as clear-cut as it used to be. Perhaps the greatest example of this is the choice between a circular saw and band saw blade. Selecting between these two metal-cutting technologies used to be fairly straightforward. In most cases, precision circular saws were used in high production applications, while lower cost band saws were used for higher mix applications. But advancements in blade technologies and saw capabilities have made this decision more complicated. According to an archived article from The Fabricator, “a high-quality band saw may be able to meet or exceed performance expectations that previously were achievable only with a circular cold saw.” And that article was printed more than 5 years ago. Sensors, carbide-tipped blades, advanced tooth geometries, and bundling capabilities are just some of the features blurring the lines between band saws and circular saws. As a developer of both circular saw blades and band saw blades, LENOX has a unique perspective on the advantages and drawbacks of both technologies. To help managers make the right cutting tool choice for their operation, the LENOX Institute of Technology offers a few guidelines to consider. Employ Strategy. Selecting the right saws and tooling for an industrial metal cutting environment is both a functional and operational choice. In other words, you should approach it strategically. Functionally speaking, the decision depends on the specific application and type of cutting; operationally, shop floor operators and plant managers need to assess overall business goals by balancing upfront investment and overall costs with cutting efficiency and long-term productivity. The goal is to select a saw and saw blade that match both your cutting needs and business parameters. Precision circular saws are ideal for repetitive, high-speed cutting of certain metals. This includes operations that process high volumes of the same material size, type, and shape or may require a high-quality finish. In terms of material size and type, the sweet spot of circular saws is two- to six-inch pieces of common grades of steel, including carbon steels, alloy steels, tool steels, softer stainless steel, and, in some cases, aluminum materials. Band saws are ideal for operations that need more flexibility. Most band saws can cut material ranging in size from a one-inch piece to a six-foot block, depending on the capacity of the saw. An operation could use a band saw to cut a wide range of shapes from solid bars, tubes and pipes, profiles, plates, and blocks. Band saws are effective at cutting a wider range of metal types and grades, and they can provide smooth cuts in tougher metals, such as titanium and nickel-based alloys. This allows operators to switch back and forth between different metals more easily than they could with a circular saw. In addition, band saws are less expensive and are better equipped to handle stacking or bundling for cutting multiple pieces at once. Know the Drawbacks. Of course, no product is full proof, and there are always some drawbacks. The key is to determine whether or not the benefits out weigh the drawbacks. Precision circular saws can be expensive. On average, circular saws will cost $100,000 and up, while a band saw ranges from about $1,000 up to $100,000. With such a significant cost difference, it is no surprise that the market for precision circular saws is fairly small. Circular saws are typically not as effective at cutting hard stainless steels, titanium, nickel alloy, or other difficult-to-cut metals. They also have limited cutting versatility in material size and shape, and they are restricted in their ability to bundle cut. Bands saws can increase the chance for variability. While agility and flexibility are key advantages of the band saw, those very traits can also have drawbacks. Cutting a wide range of metals can lead to varied performance, as well as constant equipment upkeep. Operators are more prone to making cutting errors, and blades need to be broken in before use. Talk to Suppliers. Don’t be afraid to lean on your suppliers during the decision process. Trusted suppliers should be willing to have an honest discussion about the benefits and drawbacks of their products. Leverage their expertise by asking questions about recent advancements and industry trends. Also, some suppliers may willing to help you run the numbers and measure cost per cut. For many managers, metalworking fluids are just another line item on a long list of tooling expenses. Similarly, operators often see them as just one more box on their daily PM checklist. This type of mentality often leads manufacturers to question whether or not they really need coolants at all. Do they really offer a true ROI, or are coolants just another necessary evil? All of these bullet points boil down to two bottom-line implications—quality and cost. As this white paper explains, failure to maintain proper coolant levels can lead to decreased blade life and premature and uneven wear of band wheels. Both of these issues can lead to increased maintenance and tooling costs, unplanned downtime, poor quality, increased scrap and rework, missed delivery dates, unhappy customers, and so on. In the metal-cutting world, there are several different methods for applying coolants, as well as different coolant types. Flood coolants are the most widely used because, in most cases, they provide the best lubrication and cooling for work pieces. There are also spray, wax stick, and drip applications, but for the purposes of this article, the focus will be on flood coolants. Straight Oils. This type of lubricant is 100% oil and does not contain any water. It is mostly used to cut high alloys and other difficult-to-cut materials. Benefits include excellent lubricity, good rust protection and sump life, and easy maintenance. Drawbacks include poor heat dissipation, increased risk of fire, and hard-to-clean work pieces. Soluble Oils. This is the most popular type of coolant and is used in light- to heavy-duty operations working with both non-ferrous and ferrous metals. It contains a mixture of water and oil, combining the lubricity of cutting oils with the cooling ability and economy of water. Benefits include good lubrication, improved cooling capability, and good rust protection. It also resists emulsification of greases and sideways oil. Disadvantages may include increased maintenance costs and susceptibility to rust problems, bacterial growth, oil contamination, and evaporation losses. Semi-Synthetics. This coolant is synthetic-based but also contains oil (5 to 30%) and water. A “hybrid” of both soluble and synthetic fluids, it can be used in a wide variety of applications and is suitable for large cross-sections and cast-iron applications. Benefits include versatility, good microbial control, corrosion control, cooling, and lubrication. Other benefits include resistance to rancidity, easy maintenance, and long service life. On the downside, water hardness can affect stability and may cause misting, foaming, and dermatitis. This type of coolant may also emulsify oils and form residues. Synthetics. These fluids are transparent, detergent-like compounds that contain no oil content. Considered to be the “cleanest” coolant type, synthetics are said to offer the best heat reduction, good corrosion control, and a longer sump life than all other coolant types. They can be used on a wide range of machining operations and are suitable for large cross sections. On the downside, they can lead to rust on the machine interior and may cause misting, foaming, and dermatitis. Because they lack oil, they also have reduced lubrication compared to other coolant types.